We are a small friendly club located in Odiham near to the parish church and cottage hospital. We have a full size 6 rink bowling green and a purpose brick-built pavilion housing a clubroom, bar, kitchen and changing rooms, etc. During the summer season (May to September) we compete in three leagues: the Aldershot & District on Tuesday evenings, the Farnham & District on Wednesday evenings, and the Basingstoke "Stan Hardman" League on Thursday afternoons. 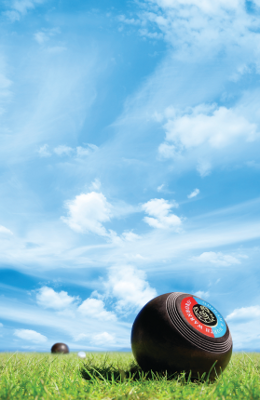 At the weekends, we have a full fixture of friendly matches arranged with other bowling clubs. In addition, we also hold internal club competitions and events. In the winter season (October to April) we play "short mat" bowls and have two mats which are laid out in the clubhouse. We run an internal league on Monday evenings and compete in a local league with other clubs on a Thursday afternoon. In addition, friendly matches are arranged, roughly every four weeks, at weekends. Throughout the year "roll-ups" are held on Tuesday and Friday afternoons, commencing at 2.00pm, where members get together in a relaxed atmosphere to practice their skill. Prospective new members are welcome to come along to any of these sessions as they provide an excellent opportunity to learn the game and get to know the club members.